The unexpected moment is always sweeter. The post The unexpected moment is always sweeter. appeared first on Lifehack. The middle child, the balancer, the keeper of peace, the glue that holds the family together… however you want to say it, their role is intrinsic to the health and well being of the family. Research shows that the middle child is always likeable. 1. They have a strong work ethic. Middle children have some of the strongest work ethics out of anyone. It makes sense! From a young age, their role between the trailblazer oldest and rambunctious youngest make them hard workers. Nothing brand new has ever been given to them. They learn that things don’t come easy, and that you have to work for everything. Middle children are caught in a very unique role between two strong personalities. Without them, order would be non-fluent and turmoil among sibling children would always exist. They dilute both the oldest and youngest’s personalities. They tend to be agreeable and look to please others in the family. This “with the grain” behavior is what makes them crucial to every family dynamic. No matter the circumstance, the middle child will rarely complain about being bored. The middle child know how to entertain themselves and more importantly, he is comfortable being alone. He doesn’t rely on others to provide all of his joy; he is completely content in findings things to do or just staying in and watching a move on a Saturday night. 4. They are extremely creative. When it comes to being handy or just having a knack for design, a middle child knows whats best. She is very introspective people, and with this comes a deep sense of right and wrong. She knows what she wants before she creates something; she rarely struggles to craft works of art from nothing. A blank canvas is seen as an opportunity in her eyes while it can be intimidating for the rest of us. If there is a way to improve design and function of a tool or device, it is almost guaranteed that a middle child came up with it. Middle children know how to go with the flow. They don’t want to rock the boat or create conflict. This makes them some of the best companions on adventures. They won’t have their own agenda, they want to do whatever you want to do and they will enjoy it just the same. This is an extremely likeable treat, people want to include middle children in their plans. A middle child knows logic, and reasoning with great understanding. He is well read and knows what he is talking about. He can expand your mind with philosophy and teach you complex topics with ease. Also, think before you try to argue with a middle child, they know their stuff. 7. They know how to pick their battles. Know exactly what you want to say before you argue with a middle child, they have a way of knowing what hill they want to die on. This can be surprising to what we know of the usual “go with the flow” attitude of the middle child. This is what is so great about middle children though, they don’t pick petty arguments, they don’t nit pick about everything. They are concise and calculated. If they are upset about something, then it is something serious. They know their reasons and they know how to deliver them. Middle children know the strife of being forgotten. They know the meaning of “ten minutes early is on time.” You can always count on a middle child to be there when you need them. They are never flaky and if you ask them to do something, you will never have to worry otherwise. If you need a problem solver, look no further than the middle child. They have grown up with hand-me-down toys and clothing. They know how to make things work in a pinch. This skill is innate to them, almost like breathing, they are rarely flustered with a difficult situation or circumstance. Middle children know how to pick their battles but more importantly they know how to compromise. Growing up in a household where everything is shared teaches many great life lessons. At a young age, they always had to share their toys with their siblings. As they grow up, they know how to compromise and reach understandings. This is what makes them great members of any company or team. This is one of the most admirable traits of middle children. They know how to put others above themselves. They grew up in that kind of atmosphere, it’s innate to them. This makes them an extremely sought after mate. If you have the chance to make a middle child a part of your life then you are lucky. 12. They are the bridge. What does this mean? Ask a middle child this question. She will respond as such “I am closer to my older sibling than my older sibling is to my youngest sibling” and vice versa for youngest to oldest. This means she is the family bridge. She has common ground with both siblings but provides support for all siblings to interact and communicate. Her role is essential for family structure and dynamics. 13. They know right from wrong. A middle child has a strong grasp of their own beliefs and value system. They grew up being the mediators. They see things as cut and dry. This can help them with many difficult life decisions. They know how to look at problems with logic and facts rather than emotion and hypotheticals. 14. They know how to listen. This world is dominated by people who know how to talk but few that know how to listen. Middle children get the meaning of being a good listener. They are empathetic and can provide insight. Again, they know how to solve problems because they know to listen first before opening their mouths. If you have a problem, consult the middle child. This makes sense. Middle children have grown up having to compete over everything. This only makes sense that this will transcend over to their sporting lives. Many great athletes are middle children. Given an unparalleled work ethic, the middle child knows how to win something through sheer will power. The post 15 Reasons Why The Middle Child Is Always Likeable appeared first on Lifehack. Opening up a package can be fun, but when the packaging itself makes you smile, you know its going to be a good day. Whether you are picking up something at the grocery store, receiving your latest purchase from Amazon, or sending your friend a get well soon box, the packaging can make all the difference. 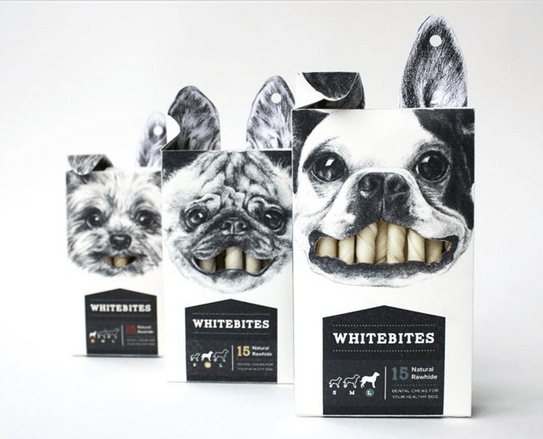 Here are 15 creative packages that are sure to bring a smile to your face. Not only do you get to eat an awesome chocolate cookie, but you get enjoy while chowing down on this dude’s hair. Thank you Japan! If you are like me, you own quite a few T-shirts. With a little help from this package, the number of Tea-shirts you own is going to skyrocket! Get your Tea Closet ready because these tea bags know what’s up. You know what’s great after a few beers? Making oragami of course! Finding supplies is an annoyance. With this little bottle, you’ve got everything you need for the challenge. This can be a great way to drive your friends crazy after an eventful evening. Who loves having whiter teeth? Your dog obviously. This whitening treat lets you know its purpose with a single glance. Plus its super cute. Who wouldn’t want such a smiling little doggy to live in their cupboard, at least for a while anyways. Painting can definitely be a chore, but with these furry faces, you will definitely enjoy it! If you keep the packaging, you can even turn their natural colors into something even more hilarious! 6. Orange you ready for a drink? Orange juice is delicious, but drinking it from a little box is very third grade. How about a box that looks like an orange? Absolutely perfect. Wine is a nice enough word, but really that isn’t getting to the heart of the matter. 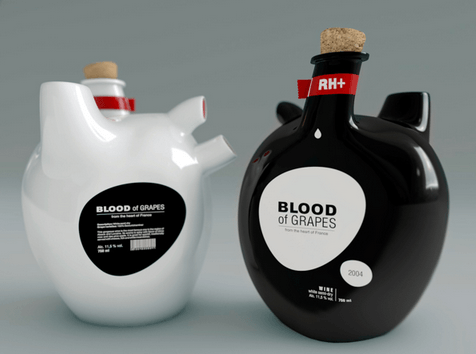 Let’s start calling our wine what it is, GRAPE BLOOD! 8. Why Add Cheese when you can add wood shavings? Just kidding, this Parmesan pencil really does produce cheese. But get ready to freak grandma out! Next time you are sending some awesome goodies, consider involving minions. Little to no artistic skills required! 10. Did somebody need a doctor? Why just tell someone to get well when you can package their own little home nurse and bring it right to their door? It may not be as good as the red cross, but its still pretty yummy. Its a lot of work to maintain those muscles, so show your support with this Hulk inspired care package. H&M knows how to go the extra mile with these fancy duds for their boxes. You know its got to be special if its looking this snazzy. When you think of New York pasta, you think of something special, right? Well this package will help you remember one of New York’s famous landmarks while making your dinner delicious. These headphones are designed specifically to make your tunes come to life. Its no secret either. From the moment you see them, you know that’s where the music is at. Do you need a waterproof watch? Are you nervous about what it can stand up to? Well Festina is not pulling any punches. When you get your watch, it comes dressed like a goldfish. Waterproof, check. The post 15 Creative Packages That Will Brighten Up Your Day appeared first on Lifehack. The Ambivert straddles the line perfectly, between extroversion and introversion. A fascinating hybrid of the outward extrovert and inward introvert, they are poised and ready at any given event, and are un-fluffed by any situation that may require a more extroverted, or introverted stance. The advantages to being an ambivert are as numerous as the many lists that make up all the great things about being an introvert, or an extrovert. However, the difference here being that no one group is dominant in the ambivert; each side compliments the other. There are many extroverted vs introverted warrings going on, so we thought we’d give a nod to the wonderful ambiverts out there who help to keep the peace and remind us we are all simply wonderful! They are aware of subtle changes in people, tone and environments. Intuitive, like the introvert, the ambivert is well positioned to notice when something is up, but like the extrovert, will offer to discuss any underlying issues with the individuals or groups of people, and work with them to work it out. Both introverts and extroverts can see themselves reflected in the ambivert and so are inspired and influenced, rather than turned off, by their attributes. An introvert will turn away from an extroverted leader who is far too brash or loud, or who intimidates them, and the extrovert will find no inspiration in an introverted leader who tends to come slightly unstuck in social situations, or who the extrovert feels is unable to take charge. They are not afraid to speak up, and how. Strong, direct yet respectfully aware whilst commanding that same respect, the ambivert is a true leader in every sense. A perfect mix of confidence, self-assuredness and quiet strength. Different clients and contacts require different approaches in communication. An extrovert may put off an introverted contact if they come on too strong, and the introvert may appear anti-social to an extroverted investor looking for a people-person. Ambiverts are adept at adapting to any situation, and are able to rise to the occasion without having to play out of range. There’s nothing like an introvert being told to act extroverted, or an extrovert constantly being asked to “tone it down” to throw a spanner in the works. An ambivert has the clear advantage here as they can get on with the task at hand without worrying which of their many personalities need to come out and play. They are free to just be and navigate perfectly, the murky waters of prescribed conduct, and have no problem being themselves in all situations. And because they’re not having to pretend to be something they’re not, they are less likely to experience burn out. Ambiverts make excellent managers as they are well aware of the strengths of both personality groups and play to those strengths accordingly, in order to get the best and most efficient results from their workers. Want someone to wine and dine clients all week? The extrovert is your call. Need someone to read and review that new book over the weekend? The introvert is your go to. Everyone’s happy! Send them into the lions den that is the networking room, and they’ll come back with hundreds of new leads and 100 new confirmed clients for you to work with, and possibly keys to a new yacht! They’ll be the highlight of the room, and when it’s time to wine down and recharge, they’ll know when to bid adieu, and leave the room on a high. Fist pump! With a balanced personality and a more balanced outlook on life, they show no favouritism to one side, and therefore are fair in their dealings. You won’t get the bully-boss who only picks on the introvert, or the boss who runs a mile from their extroverted employees. They are approachable to all, and not an anomaly. They’re not in the business of asking you to be more “out there” or calling you “anti-social”. They see, and know all too well both sides of the coin. In a world that has gotten far too used to bashing opposing personality types, ambiverts are the cool and calm hippies of the world. They’re all about keeping the peace because they understand that no one personality type is better than the other. They are the mediator, refusing to speak ill about either. To the ambivert, each personality is pure gold and we should just all respect each other and get along! A confidant, who embraces your personality and encourages you is someone anyone would be glad to follow. There’s no having to explain or convince or apologise with the ambivert. They understand who you are. You’re free to just be, which builds confidence, which in turn makes you a confident and competent worker. And that’s always a good thing. The post 10 Reasons Ambiverts Are Wonderful Leaders appeared first on Lifehack. Whether it is a choice or a necessity, many men are leaving the regular workplace to become stay-at-home-dads. According to studies men are beginning to embrace parenting and shouldering more of domestic responsibilities than previous generations. It is becoming apparent that men want to be more actively involved in the lives of their kids. And what better way to do that than to be a stay-at-home dad. You want the best for your household. You can make a sacrifice to ensure that work doesn’t come in the way of giving your family the time and attention it needs. You can be committed to the emotional and physical improvement of your household rather than exchanging this time for more money. You do not have to be worrying about not being there for your kids birthdays or special moments in their growth. Yes, you can be there for your kids during their life-changing and defining moments. Being a part of their growing up is something you will always cherish and find to be profound. Being a stay at home dad makes you more detailed, more careful, more domestic and appreciative of the simple things. You can cook, clean, do yard work, shop for groceries, maintain the car, change diapers, counsel your children and put the house in order. Being a stay at home dad sort of gives you a sense of homeliness and appreciating your home for what it is. And you accept such responsibility with enthusiasm. Being a stay-at-home dad means going against the norm or traditions of going to an office every day. You have the right to choose the way you live your life and determine how you can fulfill your obligations. You are willing to defy the conventional way to become the man you want to be within. Something dreadful and challenging, but being able to be the dad, the cook, the shopper, the repairer, the maintenance man, all in one can be pretty multitasking and fun. You become aware of those potentials within you that were previously untapped. You can get connected with other stay-at-home dads through blogs, societies, support groups and conventions to help you share interesting and motivating experiences and get through the challenges of being a stay-at-home dad. You are there to teach and tutor your children to growth. You can offer them the best in relationships, care and concern that will make them appreciate learning and education. You do not miss a bit of it whether you are homeschooling them or driving them to and from school. You can create an environment where nothing is kept in secret but spoken out, because you are there to listen to them and benefit from their sense of sharing their emotions and thoughts with you. Money that would be spent on getting a nanny or a baby sitter is saved. You are also responsible for managing expenditure and doing well to ensure that your children and the house gets the best from the resources available. Whether it is in a memory or in an actual photo you will be able to capture moments that may have been lost. As a stay-at-home dad you are somehow reconnected to your childhood and periods of your own growth. You can thus find direction, personal growth, rediscovery in being a stay-at-home dad and being there for your kids during their growth. The post 10 Things Only Stay-At-Home Dads Would Understand appeared first on Lifehack. For most people the beach is somewhere to go on vacation, or for an occasional day out. The idea of living there might seem like a dream, but what is it really like for those who live right there and can see it every day? Here are 18 things that can only be fully understood by those who live by the beach. Wrapping up warm and walking on a deserted beach in winter is a uniquely invigorating experience. After all, you get to live somewhere that people yearn to visit all year. Similarly, if you’re in need of some inspiration, you will find it by digging your toes in the sand. You wouldn’t leave trash in their backyards, so why do they leave it on your beach? Even if it’s just sitting on the beach which is a perfectly valid way to spend time, unlike anywhere else when just sitting and doing nothing is clearly a waste of time. Even better if it’s been prepared on the beach. You’ve perfected the art of preparing and eating food on the beach without ingesting gritty sand, this is a skill to be envied by the casual beach visitor. Especially the sunsets. And the sunrises. And during the midday sun. Ditto your car, clothes, hair, and pets. This categorization enables you to predict their behavior on the beach, providing you with hours of entertainment as you watch and nod knowingly. The delight in finding and collecting pretty shells, or coming across small sea creatures in little pools of water, is not reserved for children or occasional visitors. And no smell better than the salty sea air. You understand that they are essential for the economy of the area, and you love to see them arrive, but you wish they could be less intrusive in your beach paradise. You aim to be friendly and welcoming to them, but wish at times they showed more consideration for their surroundings and the local residents when they visit. In the summer you can easily forget that other types of clothes exist. You’ve seen it at its calmest best and at its roughest worst, and understand the need to always respect it. They clearly haven’t understood your beach, and this situation must be rectified immediately. However long you’ve lived near the beach, and however many things you’ve seen there, every year when the visitors arrive you will be surprised by new things they do, wear, and say. They might as well say they don’t like breathing. You may leave for a while, but you’ll be back. They always come back. The post 18 Things Only People Who Live By The Beach Understand appeared first on Lifehack. During a job interview, you might feel as if your prospective employer is in the driver’s seat, and you must go wherever he or she leads you. However, this is simply not true. There are many laws in place to protect applicants from facing undue discrimination and to ensure each candidate for a job is viewed as objectively as possible. If you find yourself in a situation in which you feel you’ll be unfairly judged, there are many ways in which you can “flip the script” and drive the interview in a direction you’re more comfortable with. This might seem fairly innocuous to job seekers in their 30s, but there are many hidden agendas behind a question of an applicant’s age. Employers can ask if an applicant is over 18 if it is company policy to not hire minors, but that’s about all they can ask as far as age is concerned. According to the Age Discrimination in Employment Act, it’s illegal to inquire about an applicant’s age, since those over 40 are specifically protected by the law. Such a question is clearly attempts to discern how long a person may stay with a company, and whether or not he or she will be able to perform the job’s duties 10 or 20 years down the line. There is no need to answer this question; instead, refocus your answer on your years of experience. Again, this question might just seem like small talk, but the answer can give away more information than you think. If, for example, you just got married in the past year, the interviewer might decide you won’t be dedicated enough to the job, as you will just be starting a family, might have to take maternity/paternity leave, etc. Also, your answer might reveal your sexuality, which is, of course, protected by the US Department of Labor. It’s best to avoid going into your personal life, about which you do not have to volunteer any information. However, any info you choose to give might be used to disqualify you from employment. While it might seem like a good time to discuss your worldliness, discussing your national origin may lead to a subjective judgement by your interviewer. Of course, you must be lawfully able to work in the United States, and must possess documentation expressing this. However, you are under no obligation to divulge what part of the world you were born in. Along with this, you cannot be made to discuss other languages spoken at home, unless it is to your advantage. If you are comfortable discussing these aspects of your personal life, repurpose your answer to show that your bilingualism is an advantage to the workplace. 4. What religion do you follow? This goes along with the aforementioned Civil Rights act. Though obviously there is a chance that the interviewer might be biased toward a certain religion, there are other implications to how you answer this question as well. Employers might be fishing for information regarding your availability to work on weekends or holidays. Of course, they can just ask about your availability, but many interviewers don’t wish to be so candid. Again, repurpose your answer to express your availability, and inform them that the company will know far in advance if you will be taking a holiday. 5. Do you drink socially? This question might come up in interviews for jobs regarding public safety, but you are under no obligation to answer. In fact, the ADA protects alcoholics as long as the disability does not interfere with their duties. And, as alcohol is a legal entity in the US, prospective employers have no right to know what you do on your time off. If this question comes up, simply answer no. As a word of advice, I wouldn’t drink at job-related events or parties in the future, regardless of how you answered the question. 6. Do you or have you used drugs? 7. Have you ever been arrested? Interviewers can’t ask this question, because an answer of “yes, but I wasn’t convicted” won’t exactly put you in a positive light. Some states do allow this question, but employers cannot discriminate based on the answer given. However, they can ask “Have you ever been convicted of a crime?” and ask for details, and they can run background checks on applicants. If you have been convicted of a crime, and you know a background check is imminent but may not disqualify you from employment, the best thing to do is be upfront about it. Express regret about the circumstances, and demonstrate that you’ve learned from your mistake and have grown as a responsible adult. For more information regarding the legal issues surrounding employment, visit the US Equal Employment Opportunity Commission website. The post 7 Illegal Questions You Might Be Asked During an Interview appeared first on Lifehack.